Ponte Vedra Beach, Florida, is an unincorporated community along the Atlantic coast in St. John's County. This community is part of the Jacksonville Beaches area, and it has a population of about 38,000. Ponte Vedra Beach is less than 20-miles south of downtown Jacksonville, and about 25-miles north of St. Augustine. The discriminating Ponte Vedra Beach home buyer will discover a wealth of options among the Ponte Vedra Beach homes for sale. Ponte Vedra Beach homes with over 7000 sq-ft of living space are fairly common, and some Ponte Vedra Beach FL real estate includes homes that are much larger. Ponte Vedra Beach properties include seaside homes built over half-a-century ago, as well as modern estates lining golf course fairways. While many of the Ponte Vedra Beach FL homes are priced in the seven figures, deluxe condominium units offer an opportunity to live in the area with a more modest investment. Among the homes for sale in Ponte Vedra Beach are those with about 3000 sq-ft of living space and of relatively recent construction. Such homes, depending on location, are often priced in the mid to high six-figure range. Some may want to invest in Ponte Vedra Beach real estate for a vacation retreat so that they can enjoy this oceanside paradise on a regular basis. 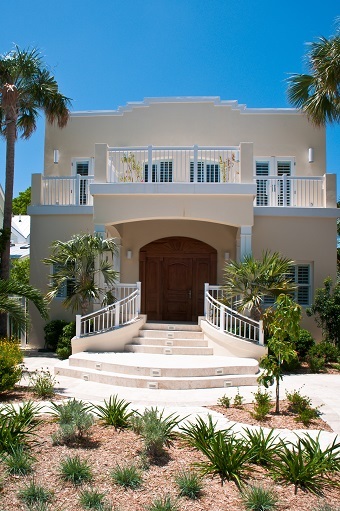 The luxurious real estate in Ponte Vedra Beach will certainly excite many a discriminating home buyer. This stretch of Florida coastline remained largely unsettled until the latter part of the 19th century. When the area was settled, it was not the beaches or tourism that drove the development of the area, but rather, minerals. The 1914 discovery of titanium and zircon deposits resulted in a community called Mineral City quickly developing here. After World War I, attention turned toward the resort potential of the area, and the community was renamed Ponte Vedra, after a city in Spain. The community saw exponential growth following the 1972 development called Sawgrass. 400-acres of the development was sold to the PGA Tour for just one dollar, and the TPC Sawgrass golf course is today the home of the Tournament Players Championship, arguably the fifth most important tournament for professionals each year. The Guana River State Park is situated on a barrier island just south of Pontevedra Beach. Visitors will enjoy the wide array of experiences across this 2400 acre expanse. Visitors can go hiking, biking, boating, bird watching, and fishing. Kayakers also speak highly of this park. The scenery is spectacular. It includes sand dunes and some of the more unspoiled beaches along the north Florida coastline. As if that is not enough, there are also 17 historic cultural sites within the park. The Ponte Vedra Concert Hall is well known for its excellent acoustics that make live music a joy to experience here. The concert hall also hosts a series of classic movies sponsored by the National Public Radio station in Jacksonville. This former Baptist church is considered a wonderful intimate venue in which to enjoy performances. Many area residents had to the TPC Sawgrass course for the Tournament Players Championship each year. 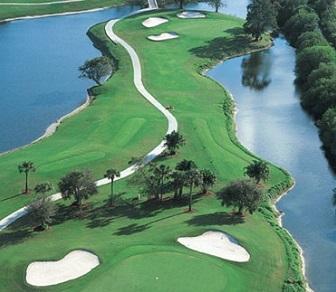 This world famous, Pete Dye design has been named the top golf course in all of Florida by Golf Week Magazine. The magazine has also ranked it number-nine among the resort courses in the entire country. Every October a fundraiser for the protection and preservation of the area's ocean and estuary resources is held in the community. This annual event is called OceanWise.